The aviation instructor is the central figure in aviation training and is responsible for all phases of required training. The instructor, either pilot or aircraft maintenance technician, must be a professional. As professionals, aviation instructors strive to maintain the highest level of knowledge, training, and currency in the field of aviation. 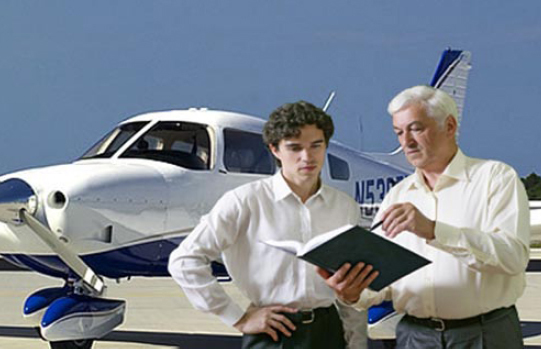 To achieve this goal, instructors need to commit themselves to continuous, lifelong learning and professional development through study, service, and membership in professional organizations such as the National Association of Flight Instructors (NAFI) and Professional Aviation Mechanics Association (PAMA). Professionals build a library of resources that keeps them in touch with their field through the most current procedures, publications, and educational opportunities. Being a professional also means behaving in a professional manner. 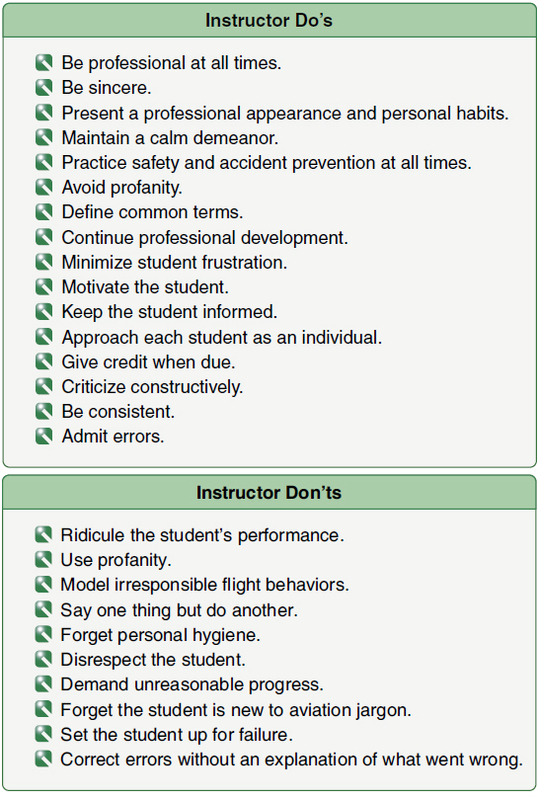 [Figure 7-6] An aviation instructor should strive to practice the characteristics on the Instructor Do’s list when teaching a student. Figure 7-6. Guidelines for an aviation instructor. An aviation instructor should be straightforward and honest. Attempting to hide inadequacy behind a smokescreen of unrelated instruction makes it impossible for the instructor to command the respect and full attention of a student. Teaching an aviation student is based upon acceptance of the instructor as a competent, qualified teacher and an expert pilot or aircraft maintenance technician. Any facade of instructor pretentiousness, whether it is real or mistakenly presumed by the student, causes the student to lose confidence in the instructor, and learning is adversely affected. The instructor must accept students as they are, including all their faults and problems. The student is a person who wants to learn, and the instructor is a person who is available to help in the learning process. Beginning with this understanding, the professional relationship of the instructor with the student should be based on a mutual acknowledgement that the student and the instructor are important to each other, and that both are working toward the same objective. Under no circumstance should the instructor do anything which implies degrading the student. Acceptance (rather than ridicule) and support (rather than reproof) encourage learning. Students must be treated with respect, regardless of whether they are quick to learn or require more time to absorb certain concepts. Criticizing a student who does not learn rapidly is similar to a doctor reprimanding a patient who does not get well as rapidly as predicted. Figure 7-7. The aviation instructor should always present a professional appearance. Personal habits have a significant effect on the professional image. The exercise of common courtesy is perhaps the most important of these. An instructor who is rude, thoughtless, and inattentive cannot hold the respect of a student, regardless of the instructor’s ability as a pilot or aviation maintenance technician. Personal cleanliness is important to aviation instruction. Frequently, an instructor and a student work in close proximity, and even little annoyances such as body odor or bad breath can cause serious distractions from learning the tasks at hand. The attitude and behavior of the instructor can contribute much to a professional image. The instructor should avoid erratic movements, distracting speech habits, and capricious changes in mood. The professional image requires development of a calm, thoughtful, and disciplined demeanor. The successful instructor avoids contradictory directions, reacting differently to similar or identical errors at different times, demanding unreasonable performance or progress, or criticizing a student unfairly, and presenting an overbearing manner or air of flippancy. Effective instruction is best conducted in a calm, pleasant, thoughtful manner that puts the student at ease. The instructor must constantly demonstrate competence in the subject matter and genuine interest in the student’s well being. In aviation instruction, as in other professional activities, the use of profanity and obscene language leads to distrust or, at best, to a lack of complete confidence in the instructor. Many people object to such language. The professional instructor speaks normally, without inhibitions, and speaks positively and descriptively, without profanity.